maileesdad has no other items for sale. Details about Batman Kings of Fear (2018) #1 Bill Sienkiewicz B&W Variant DC Comics SOLD OUT!! 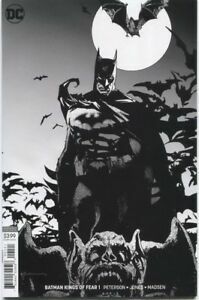 Batman Kings of Fear (2018) #1 Bill Sienkiewicz B&W Variant DC Comics SOLD OUT!! DETECTIVE COMICS 1000 BILL SIENKIEWICZ !!! SOLD OUT !! !